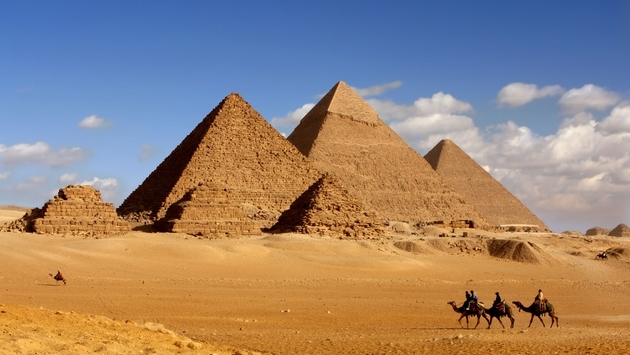 PETA recently released footage that shows horses being whipped and camels being abused and harmed at top tourism destinations in Egypt like the Great Pyramid of Giza, Saqqara and Luxor. The footage is another example as to why so many travelers are concerned with animal welfare rights in the tourism industry. One video shows a handler violently beating a horse who collapsed on its side and was injured while pulling a carriage. The horse was beaten until it stood back up. The organization says that horses and camels are not provided shade, food or water when they’re being forced to haul tourists on their backs in the blistering heat around Egyptian tourism attractions. BREAKING: New PETA eyewitness investigation exposes the abuse tourists are paying for in #Egypt’s Great Pyramid of Giza. Camels are beaten with sticks and wounded horses are whipped over & over. PETA also says they have documentation by eyewitnesses who claim that camels are beaten at Birqash Camel Market before being sold into the tourism industry. After the camels are unable to give rides around the pyramids, PETA says the camels are returned to the market and sent to the slaughterhouse. “And at the notorious Birqash Camel Market, men and children were observed viciously beating screaming camels with sticks. Many of the animals’ faces were bloody, and one camel foamed at the mouth." With this footage, PETA is demanding a ban on the use of working animals at tourism sites in Egypt and requesting that the government replace them with modern vehicles like electric rickshaws.